Freel2.com - View topic - Cat D – What Do You Think? Home > United Kingdom > Cat D – What Do You Think? Cat D – What Do You Think? I have no connection whatsoever with the seller. The car is declared to be a Cat D insurance write off – the advert cites rear wing, door and bumper damage. It looks like an exceptional bargain to me – providing you intend to keep the car for a number of years. I’ve been tempted by Cat D cars before, and like the look of this one. Unless you have a Churchill Body Jig in your garage ...... don't touch it. I had a spell in VBPR in the late 70's. Its on eBay for a reason, the 'Salvage Boys' ........ don't want it. I use the FL2 for what it was made for. I spend 6mths/yr on a single road trip adventure. I had a cat D Nissan 200sx a number of years ago. That had rear quarter damage and to be honest I regretted buying it. It was cheap and obviously there's a reason for that. You could see where the repair was and I never really felt it drove properly, perhaps slightly out of alignment? Might just have been psychological but was always at the back of my mind. Having said that, if the work has been carried out at a reputable place and you can see what's been done and it drives well then could be a good buy. Personally, I wouldn't but that is only because of the 200sx. Link didn't work for me by the way... MY11 SD4 HSE. You're right Steve D. It is cheap for a reason. The reason being the Cat-D ! Yes Equicar do deal in second hand Land Rover parts. They are a long standing and much respected business throughout the Land Rover enthusiast scene and have been going for donkey's years. I asked the question when I had to do a VIC check (due to the Cat-C) as to why my vehicle was Cat-C when the damage was so minor and not structural. Location can be just as much a factor as to whether the vehicle is insurance repaired or written off - sometimes for very minor or none structural damage. London would be an example , where recovery, storage and repair bills along with courtesy car costs would be higher than elsewhere in the country. So a car that was damaged in London may well be written off, whereas it may have been repaired in Dudley and given back to the owner . I've said this before - how many owners are driving around in something that's been repaired by their insurance company after a bump ? How many of these repaired cars are then sold on, with the new owner not being told of this, and for the market value ? How many of these cars would be written off depending on the points given above and placed on a category ? Best thing would be to have the vehicle inspected by someone who is approved . Cosmetic damage that has been repaired correctly would not put me off buying a cat-D. Yes it's not worth quite as much when you come to sell, but you buy it far cheaper in the first place. Also depends on how long you plan on keeping it. If you plan on having it 5 years or more, then being a Cat-D will be of no real concern to the next potential owner. Plus if you sold it in 2023 and it was written off in 2017 - well that just proves that being on a Cat means nothing in the scheme of things. Also who's going to know , other than yourself, that you're driving around in a written off vehicle. I'd be smug in the knowledge I saved a fortune , while my neighbours will think I'd spent a fortune. Thanks for the interesting and thought provoking comments. 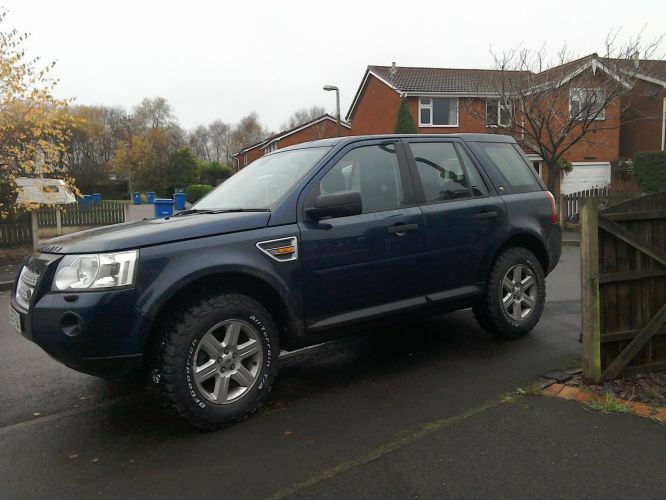 Had this CatD car been available when I was shopping for my Freelander, I may well have taken a look at it - but as it is, I am very happy with the never-repaired/full service history car that I bought. The Corsa would revert back to it`s original reg number if the personalised plate was transferred to another vehicle so it would be simple to do an online status checkon the DVLA website if you had a note of the original/personalised number. I was pretty certain I had no record of the Corsa'a original plate - but I've just searched through the filing cabinet, and found it. Here's a clip from the local paper of the car after the accident. Once pulled out of the ditch - the car was driven onto the recovery vehicle under its own power. No fluids leaking. No airbags went off. Exhaust seemed OK. But sure enough - the car was never MOTd, and the tax expired shortly after the accident so presumably was scrapped. Touch and Barge pole spring to mind. If it wasn't so bad it'd be funny. I've said this before - how many owners are driving around in something that's been repaired by their insurance company after a bump ? How many of these repaired cars are then sold on, with the new owner not being told of this, and for the market value ? It does remind me that accident repairs can be a serious issue, whether a write off or not. My first Freelander was side swiped by an ambulance in 2012. It needed the rear wing replacing, which involved cutting out the old and re-welding a new rear wing into place. It was done by the supplying Land Rover dealer as an Approved repair. All well and good, or so I thought. Tigger - I guess you're right there. I presume any welding would remove the electroplating/galvanising and allow corrosion to run wild inside box sections where a protective coating cant be applied. only if the original number plate was still available from thee DVLA. They could have sold it on.